The 2014 Kansas legislative session begins Monday. 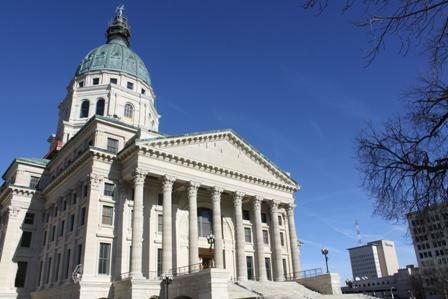 The 2014 Kansas legislative session kicks off Monday, and Gov. Sam Brownback says education is at the top of his priorities, including his recently unveiled reading initiative and instituting statewide full-day kindergarten. "I think the public wants to see us produce high-quality products, here from government. And the core function of state government is education," Brownback said in an exclusive interview. "We put over half of our state general fund in K-12, but we need to see it produce and not just put money in. And, not ask for any results." Koranda: We are all waiting for a decision from the Supreme Court on education, they could order an increase in state funding. How significant is this issue going to be in the next legislative session? And, with education being such a big item in the budget, does it really have the potential to reach through and effect other parts of state government? Well, it does in that latter point, if the lower court's ruling is to press on through, and it's somewhere in the $400-500 million - half a billion dollar - increase, that's a very large sum of money to try and hit. So, it would effect every area in state government. I am committed to the schools would not be shut down. It didn't work in Washington to see a government shutdown, it isn't right for Kansas for the schools to be shut down. So, I am going to be working everything I can to make sure the schools wouldn't be shut down. We will see what the court comes out with. Kansas is already in the top five states in America for the percent of our budget that we put into K-12. And the truth of the matter is we put a lot into K-12, and our K-12 system performs pretty well. That's the key, really, takeaway of the whole thing. And then I would like to go forward - let's target in areas of key need of investment, which is particularly in the early education. Can we do that with our current school funding formula, or would you like to see it adjusted - or maybe even start from scratch? I proposed a new school finance formula. This one hasn't been substantially changed in over 20 years, I think you ought to do a new school finance formula, and sunset it every four years. So you are really looking at ... because if this is half of your budget, you ought to spend a lot of time talking about it. I do think the innovation of doing a two-year budget that we started last year is a good one - gives more planning time for school districts. But, a four-year formula too, would give some certainty and some timing. Some lawmakers seem to be saying that this issue is really driving a wedge between the legislature and the judiciary. Are you going to propose anything as far as changing how we select Supreme Court judges this session, or anything along the lines of when they should retire or those types of proposals? I proposed that we either go back to direct elections of judges, as we used to do in the state of Kansas, or go to the federal model, where the governor nominates, the Senate either confirms or does not confirm. Or, the direct election, which about a third of the states go to. The Kansas Supreme Court generally issues rulings on Fridays, so many people in the Kansas Legislature were watching to see if the court would release its opinion in a controversial school finance case Friday. The justices did not, so lawmakers are likely to start the legislative session on Monday without a decision in the case. House Speaker Ray Merrick, a Stilwell Republican, says the case could prompt lawmakers to consider rewriting the state's school funding formula.